One day, Tieu, a Giay ethnic minority woman, stepped out of her house to visit a neighbor without asking for her husband’s permission, her husband threatened to abandon her. She had never before dared to do that during two decades of marriage. This time, Tieu did it on purpose. "I wanted to see how my husband would react. I wanted freedom," said Tieu. Tieu was illiterate. Instead of going to school, Tieu had to work in the fields from a very early age.“When I was a girl, I did what my parents told me. After I got married, I thought I must obey my husband,” Tieu said. 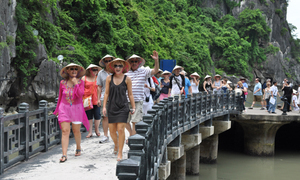 To Tieu, local authorities were yet another source of orders and instructions. Her job was to comply with their instructions and things like voting were just a hassle. “I went to vote because I was told to,” said Tieu. Tieu comes from Tam Duong district in the northern mountainous province of Lai Chau, where poverty, low literacy, gender inequality and child marriage still plague many people. The district is home to 12 different ethnic groups. Life used to be hard and harsh for vulnerable groups in the district, with women and children the main victims of gender inequality and human trafficking. Women like Tieu have been striving to find their voice, knowing that they not only fighting for themselves, but more importantly for their children and future generations. Tieu had to shoulder all the housework, take care of three children and farm the family’s land to contribute to their main source of income. Despite her great responsibility, Tieu had no voice in the family’s business. All decisions were made by her husband. That was her life at home. When Tieu stepped out of the house, the outside world was no better, if not scarier. Her nightmare became a reality every time she left the district by herself because she was unable to read signposts. She was scared of getting lost or of people laughing when she asked them to read the signs for her.“I am petrified at the thought of being robbed or kidnapped,” Tieu said. But Tieu broke the rule. She married a man from the Lu ethnic minority group and moved in with her husband in an area occupied by Lu people. Here came the consequences for her violating the rule. “It was hard for my children to make friends at school. Many locals called them “the Giay kids” to remind them their mother comes from a different group than the other villagers,” Tieu said. At that time, Tieu did not know how to react or how to protect her children from the unkind words. 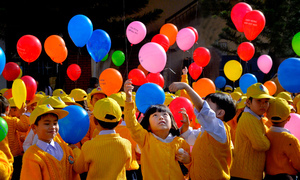 In 2006, for the first time Tieu grasped the opportunity for change. She joined a 10-year development project launched by ActionAid, a non-governmental organization working against poverty and injustice worldwide, hoping that the knowledge she could gain would bring her the answers she was seeking to her problems. Tieu took part in a literacy class set up by the project after days of persuading her husband.“My husband wanted me to stay home and do housework rather than spend time at the class where I couldn't earn any money,” Tieu said. When the class ended, Tieu joined a community development group where she has learned a wide range of issues, such as nutrition, balancing the family’s spending, domestic violence, human trafficking and climate change adaptation. “I love being a part of a group, a community. We share private stories – things that I would have never discussed before. 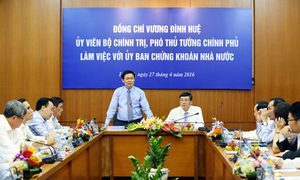 It turns out that despite coming from different ethnic groups, many of us face the same problems,” Tieu said. "We make friends and treat each other equally." The knowledge Tieu gained paid off. “One day my son was seriously ill. While my husband was out looking for the shaman to cure him, I quietly took my boy to the doctor. 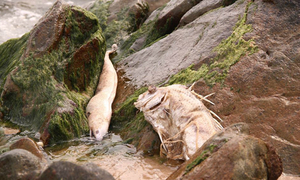 I knew the shaman could not cure the illness,” Tieu said. Following the child’s recovery, her husband gradually started to appreciate what she had learned. “He started to trust me and listen to my advice,” said Tieu. 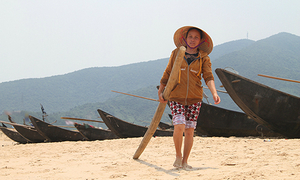 Like Tieu, Lo Thi Bun from the Lu ethnic group suffered from her husband’s verbal abuse. “I never thought of standing up to my husband before because I thought women did not have the right to disobey their husbands. The example set by other brave women in the group encouraged me,” Bun said. Women like Tieu now play a stronger role in their family businesses. Tieu is responsible for holding the purse strings and balancing the family’s budget. “I did not fight with my husband to take that ‘power’. I showed that I have the skills to do the job efficiently. My husband was bad with numbers and had no idea how to look after our finances,” Tieu said. Time past, Tieu gradually gained trust from her husband. Now she makes the decisions on family matters when her husband is away. In a complete reversal, her husband now tells her when he is going out - something that never happened before. Lo Thi Bat cannot speak or read Vietnamese fluently, though she started attending literacy classes at the community development group in 2006.“I have no talent for languages at all," she said. However, she quickly picked up farming techniques from the classes. “It turns out that I can make as much money as men do,” Bat said. 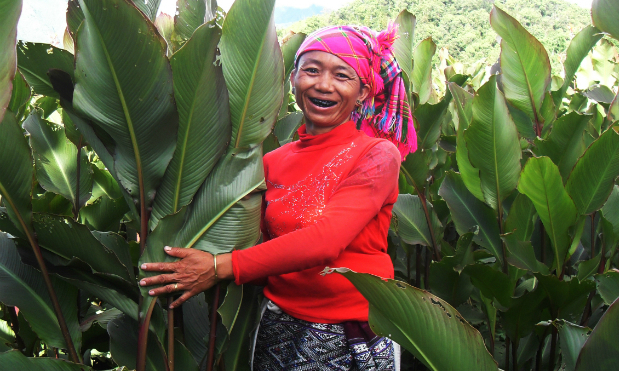 For several years, Bat has grown arrowroot as her family's main source of main income. The project grouped households that earned their livelihoods by the same means together, each including poor, near-poor and middle-income families so that they could share experience. "It is the people who decide what they want to grow or farm. 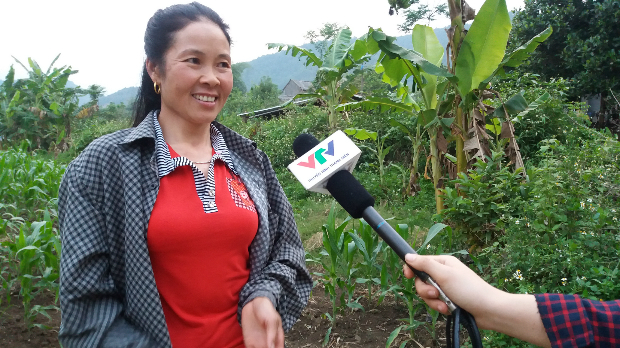 The project offers them advice, financial support and trains them in high-yielding farming techniques," said Vu Minh Duc, the program manager. To help locals stand on their own two feet, the project has gradually reduced funding over the years and each community development group has had to find a way of subsidizing their operations. At present, Tieu's group, with about 30 members, has about VND30 million ($1,300) in savings and 12 pigs to keep the program running. The project officially ended this month. Women like Tieu, Bun and Bat now have the ability to take the future into their own hands, and one of the first priorities will be to elect the right people to lead their district. In less than a month, Tieu will exercise her right to vote. This time, it is not just her duty as a citizen, but also her right. 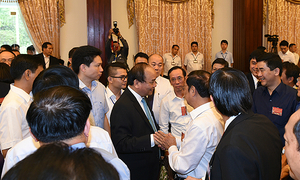 “I will vote wisely,” Tieu said. Reading: When a woman of ethnic minority says to "vote wisely"